If you're coming to London, especially if its your first time in the capital, there are some important things that you should consider before and during your trip. If you're coming to London for longer than a weekend, buying an Oyster Card will be one of the best decisions you've ever made. Valid on all London public transport, the Oyster is a pay as you go top-up card. At a one-off cost of £10, you'll soon make that up in discounted fares and time normally spent wasting in queues! Booking entry tickets to attractions and tickets for West End (etc) shows will often save you money, queuing time and avoid disappointment when you turn up and discover tickets are sold out or not available! Turn up to the box office a couple of days before or book online. For West End tickets, pop up ticket offices in Leicester Square often have last minute seating available at low prices. 3. Bring a raincoat With a maritime climate, it rains one in three days in an average year, so whenever you plan to visit, pack a raincoat! 4. Don't drive Similar to in New York City, driving in London is more trouble than it's worth. Traffic jams are frequent, a congestion charge applies to those driving through the centre in weekdays, and parking (if you can find it) is very expensive. With the amount of public transport available in the city, driving is best kept to outer London where roads become more residential. 5. Plan ahead Take a map (in fact take two because one is bound to get lost) and explore area by area – you’ll get more done with less travel. Read a couple of guides, create a makeshift itinerary and don’t over-pack it. If you rush around, you’ll miss everything. 6. Carry 20ps London has public toilets dotted around the streets and in the tube stations. But they charge 20p. Keep a pocket of 20ps (or 5ps and 10ps) for toilet emergencies! 7. Bring smart clothes Comfortable clothes are a must for a day's exploring, but in the evening some restaurants won't take too kindly to jeans and trainers. 8. Check events London has thousands of events on every year so check in advance what's on. Tickets for popular annual events, such as the Chelsea Flower Show or Royal Ascot, get eaten up fast. 5. Stand on the right hand-side of the elevators. 10. Be adventurous Get off the beaten track! Buckingham Palace isn’t the only royal residence and Oxford Street isn’t the only place in London with shops. See the famous sights, snap a few generic London pics and then do something different. 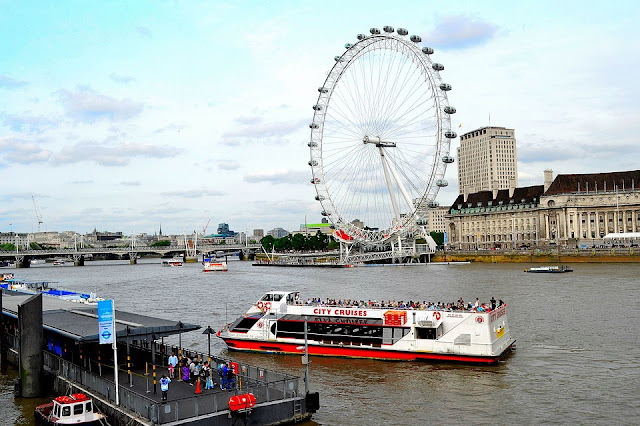 There are many places to explore in both central and outer London and many day excursions to choose from. For example, see our Top Things to do with Kids and London’s Lidos and Seaside Resorts for some ideas. Many London visitors are choosing to stay in a London serviced apartment rather than a London hotel these days and it's no wonder why. The practical and cos-effective benefits of having more space, separate living and sleeping areas, a whole kitchen and hotel style services make these short stay London apartments an incredibly good deal. As local specialists, Check-in-London can offer you a free search service and help you book the best accommodation for your stay and requirements, so get in touch with us today.